This reproduction disco shirt is luxurious. The stretchy velvet feels great. The black areas are semi transparent having a burnout effect. The colors are dark orange, brownish maroon, beige and black. The velvet has a shine to it. 56 or larger chest fit. The length is 32.5". Sleeve length is 34". The shirt drapes nicely and would be appropriate for an upscale party. 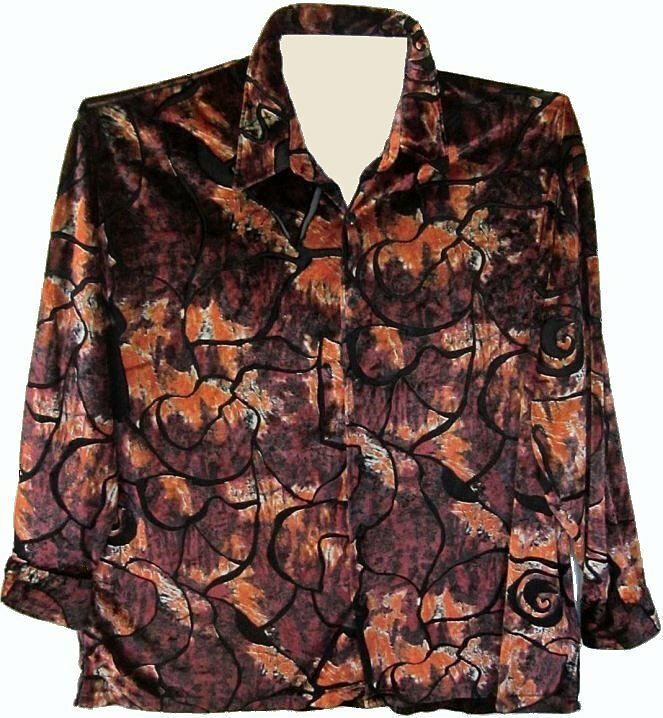 The never worn reproduction shirt will work for a 70s or Disco Party.